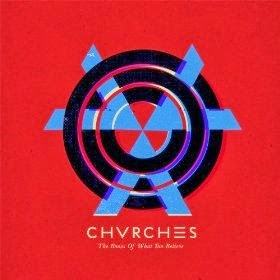 WHY: If Scottish synthpop powerhouse CHVRCHES had existed when John Hughes was making the classic Brat Pack flicks “The Breakfast Club,” “Pretty In Pink,” and “Sixteen Candles,” I’m pretty sure he would have included them in one or perhaps all. The Bones Of What You Believe is a firecracker of a record, deceptively sweet amidst a sweep of synths and boy-girl vocals that sound chirpier than the lyrics they sing. At times confrontational, at times coaxing, the songs delve into the ambiguity of life and love in the myriad shades of gray between the black and the white, maintaining a level of exuberant effervescence throughout.